His Excellency Sir Edmund Wickham Lawrence invested with the insignia of Knight Grand Cross of the Most Distinguished Order of St. Michael and St. George by His Royal Highness (HRH) Prince Henry (Harry) of Wales. Basseterre, St. Kitts, November 24, 2016 (SKNIS): An investiture ceremony was held in the State Room at Government House where former Governor General of St. Kitts and Nevis, His Excellency Sir Edmund Wickham Lawrence, formally received his knighthood. 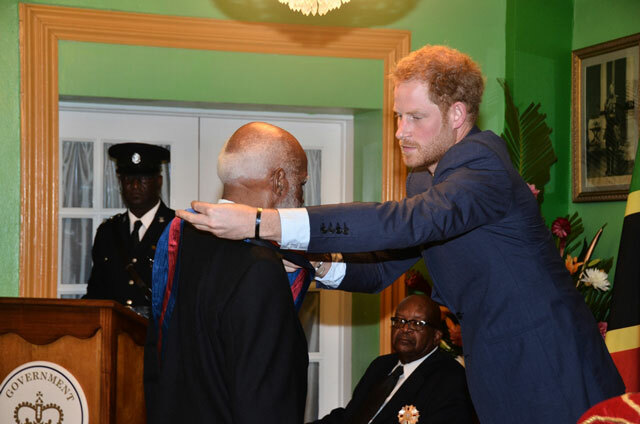 Sir Edmund Lawrence was invested with the insignia of Knight Grand Cross of the Most Distinguished Order of St. Michael and St. George by His Royal Highness (HRH) Prince Henry (Harry) of Wales, who arrived in the Federation of St. Kitts and Nevis on Wednesday, November 23, as part of a Royal Tour of several Caribbean Islands on behalf of Her Majesty Queen Elizabeth the Second. 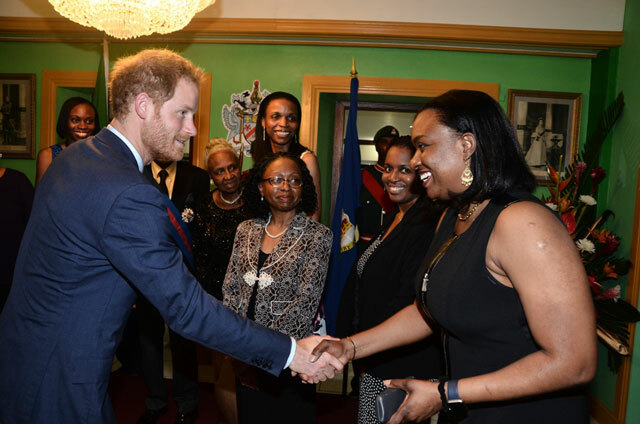 After receiving his insignia, HRH was photographed with Sir Lawrence and his wife Lady Hulda, along with family and friends, before engaging in a short discussion with the former Governor General. 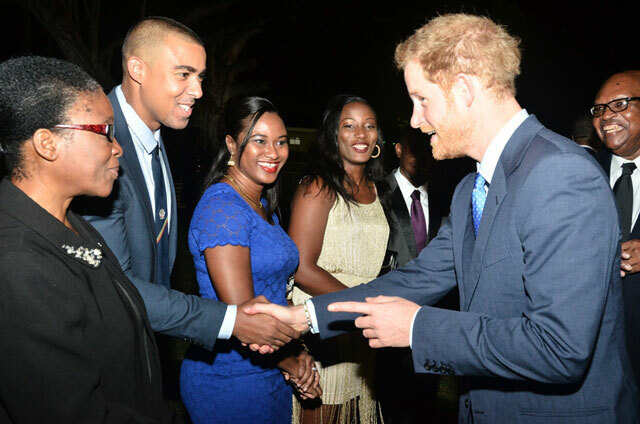 Prince Henry then moved to the reception area to interact with the invited guests, including the Planning Committee for the Royal Visit and the Law Fraternity. The ceremony, which was described as short but significant, was decked out by members of the St. Kitts and Nevis Diplomatic and Consular Corps. Upon his arrival in the Federation, Prince Henry of Wales received a warm welcome when he disembarked from the Royal Fleet Auxiliary Wave Knight at Port Zante, Basseterre. He was welcomed by His Excellency the Governor General, Sir Tapley Seaton. The Royal Party then proceeded to the Port Zante Plaza where the Guard of Honour was drawn up. His Excellency Tapley Seaton escorted HRH to the Saluting Dais where he took the salute and inspected the Guard of Honour. 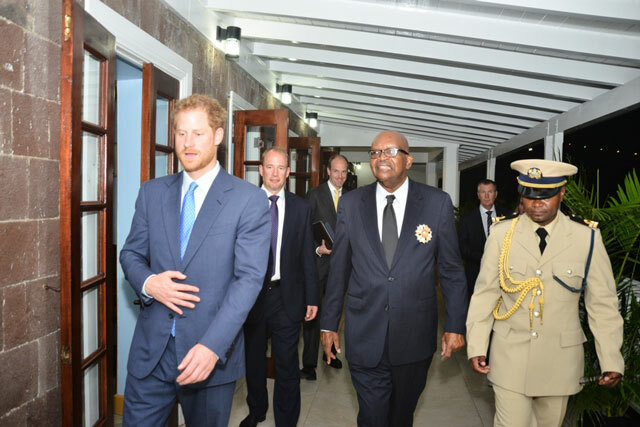 Prince Henry was introduced to Members of the Cabinet, Speaker and Deputy Speaker of the National Assembly and the Leader of the Opposition. He also took time to interact with members of the general public. Following the arrival ceremony HRH journeyed to Brimstone Hill Fortress Park where he interacted with the youth via a Youth Rally in celebration of Youth Month. While at Brimstone Hill, a plaque was unveiled to dedicate the Central Forest National Park as part of the Queen’s Commonwealth Canopy Project. 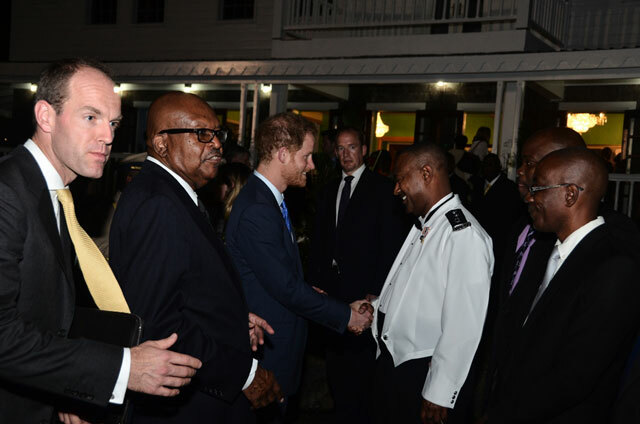 Prince Harry also paid a visit to the sister island of Nevis where he also had the opportunity to meet the Nevis Island Administration and local residents before proceeding to the Four Seasons Resort for a private reception. He then met with volunteers from a Nevis turtle conservation project on Lover’s Beach, where he was shown the turtle nesting sites and learned about Nevis’ conservation efforts to protect these endangered species. 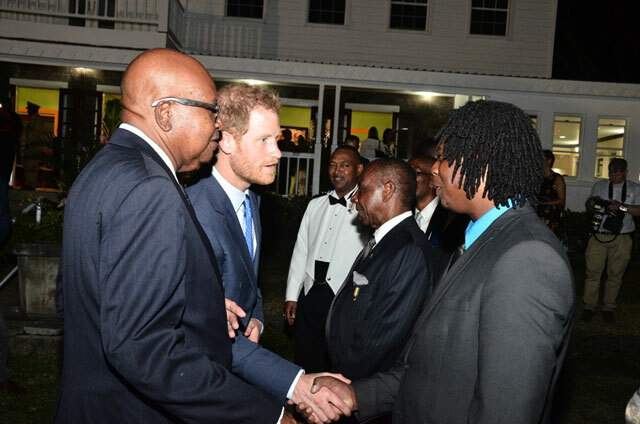 A press release on the official website of the British Royal Family states that Prince Harry is honoured to be visiting the Caribbean in the year of The Queen’s 90th birthday, and to continue to develop The Royal Family’s strong bonds with the people of these important Commonwealth countries. While these Caribbean countries may be relatively small in size, each has more than his or her fair share of natural wonders, inspiring individuals and unique cultures which His Royal Highness will experience during this two week tour. The tour includes the countries of Antigua and Barbuda, St. Kitts and Nevis, St. Vincent and the Grenadines, Grenada, Barbados, as well as Guyana.